The Administrative Procedures Act (APA) of 2016 requires all state agency regulations be converted to a standardized format by December 2018 to ensure public access and transparency. The majority of the updates are purely format-driven, but we have made updates, as needed – for example when regulations are tied to expired federal law and therefore should be repealed – and any minor or more significant changes as a result of this re-formatting process have prompted the regulation going out for public comment through the Secretary of State’s office. The Council on Elementary and Secondary Education has voted to give final approval to the Regulations Governing the Education of Children with Disabilities and school nutrition regulations, also known as the Regulations Governing Nutritional Requirements for Reimbursable Meals and Competitive Foods and Beverages. These are the final RIDE regulations to go through this process. Both the special education and nutrition regulations are posted online and have been filed with the Office of Regulatory Reform (ORR). As part of public comment on the special education regulations, RIDE received feedback that advocates and families would benefit from a single document where the state’s regulatory language and federal regulations could be more easily navigated and understood. In response, we developed a companion document that we encourage advocates, families, and educators to review. Your feedback is welcome, and comments and suggestions will be accepted through January 31, 2019, when a final version will be published. Comments can be emailed to karen.lovett@ride.ri.gov. Thank you to all who provided public comment and participated in the revision process for all of the revised education regulations. We appreciate your feedback and support, and hope that the regulations, as revised, make it easier for you and your school community to understand education policy in our state. All of the regulations that fall under the Council on Elementary and Secondary Education can be viewed on the RIDE website at www.ride.ri.gov/Regulations. RIDE has compiled all of our blogs onto a single webpage. Check out the latest posts or browse by blog category! 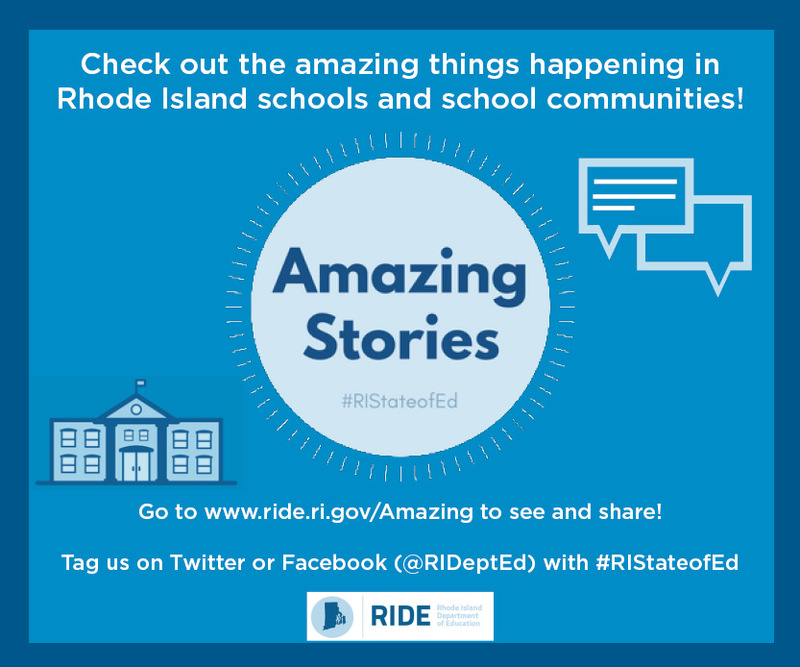 Check out our ESSA page to stay up to date about Rhode Island's state planning process.